My Higher Self: You Have Graduated Already! In the upcoming times, a lot will come up to the surface to be released and to be transmuted. More and more people are feeling the effects of the energies that are coming in at this time. The collective consciousness is beginning to simmer, like in a pot, and a lot of people cannot take the heat, as it were. But that is strictly resistance on their part. They are afraid to let go what does not serve them anymore. They are afraid to move forward. That is the ego stopping them. You must release your ego. You must still your mind. You are all moving into a higher consciousness that is so much grander than what you are all experiencing now. Imagine having what you want just by thinking about it. That is what awaits all of you. That is what awaits all of you if you allow it to happen. The way you allow it to happen is to surrender into the flow. Do not fight the energies. Allow the energies to cleanse you. Allow the energies to take you in a river on a boat. Do not worry where the boat takes you. Just sit back and enjoy the views that are along the way. This is one way that you are raising your consciousness. All must now raise their consciousness. The energies with the upcoming eclipse will be stronger going forward. The energies will find anything and everything that does not serve your highest and best good. The energies will bring all of this to the surface to be dealt with and these things must be released. You need to let these things go as you cannot take these things into the higher dimensions. You are multi-dimensional beings. There is so much that awaits you. So much fun you will have exploring and re learning yourselves and all of your gifts. But these are the hardest times now. Consider them the finals of your last class in school. Once you finish the final exams, you will graduate. The good news is that you already have passed. You just don’t know it or did not know it. All you have to do is take the test. You would not be sitting taking the exams if you were not ready, if you did not study. The souls here on Earth at this time are the ones that are ready to move on. Nobody gets left behind. You are ready and you will move up in consciousness. This has been decreed. You are part of the One, you are part of the large puzzle, and the puzzle is not complete without your piece. You have an old saying, one for all and all for one. Well you are part of that One. So understand that in the upcoming times, the questions will be harder and seem like you do not know what the answers are. As with any test question, when you do not know the answer, go with your gut feeling. Do what feels correct. You see, the reason that you have already passed the exam is that there are no wrong or right answers. The test is that you are taking the exam. Can you handle the heat in the kitchen when it gets hot? How do you handle someone yelling at you or criticising or judging? How do you handle yourself when your child is throwing a fit? Can you be calm? Can you observe and not engage in the drama? Can you not be critical of the person that cut you off on the freeway? Did you give a few dollars to the man who had a cardboard sign stating they need help? Did you try to help a stray dog that is lost or did you drive off and looked the other way? Were you there for a friend who is going through a hard time? These are your final exam questions. How do you deal with life? Can you forgive others who have hurt you? Can you forgive yourself when you have done something that you feel was wrong? Can you ask for help when you need help? Can you treat others like you would like to be treated? You know the answers to all of these questions. Now, the question is can you apply them when the situations present themselves. I say you can, I say you will. As mentioned before, you have already passed and graduated. The timelines are clear. You just need to get there. That is what you are doing now. Catching up, catching you, and finding yourself. So be proud, you have graduated, all of you, into the higher dimensions. Nobody gets left behind. The collective consciousness is rising and the times ahead may seem stressful. Just remember to be yourself. Be the eye of the storm and allow it to pass, and pass it will. Do not engage, do not be scared, stay strong in your center and walk across that threshold into the new world that you belong in, where all are waiting for you. You are so loved, so guided, and such powerful co – creators. Create your new world and stay in love. Always stay in love as love is the highest vibration that there is. 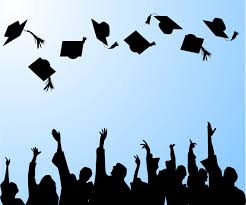 Now go get your diploma and shine your light while celebrating your accomplishment. You earned it! Another perfect post for the nowadays….. I’m happy I graduate..!! Hello, I would love to be apart of your list!! Nicole K. From Canada… Thank you, how very beautiful!!! This entry was posted on May 10, 2013 by Andrew Bojarski in Andrew's Posts, My Higher Self Posts and tagged Arch Angels, Ascended Masters, Ascension, Awakening, Channeling, Energy, Energy Healing, Healing, Higher Self, Love, Meditation, Spirituality.